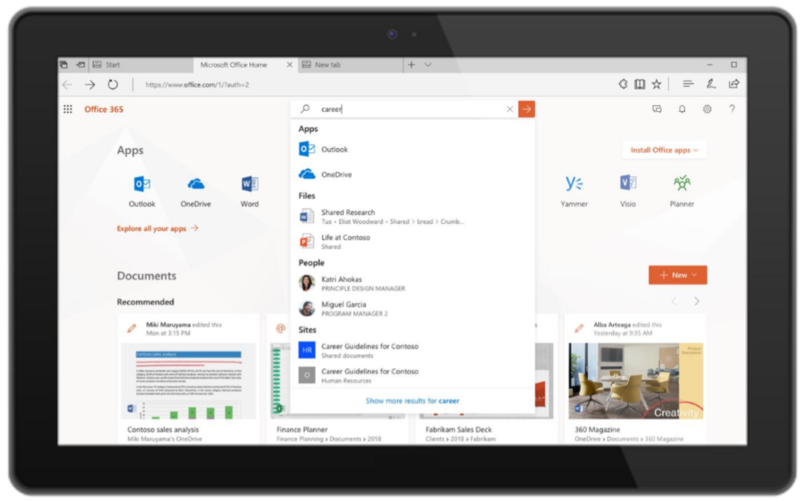 Microsoft used its Ignite conference in Orlando, Florida, today to announce a number of new features that are coming to Office 365. Given the company’s current focus on AI, it’s no surprise that most of these new features are powered by AI in one form or another. That means all of your Office apps, on- and offline, will soon become a little bit easier to use and offer you more assistance. The most interesting of these new features is called Ideas. With Ideas, Microsoft is rolling out a unified experience in tools like Excel and PowerPoint (with others to follow), that aim to help you save time on everyday tasks. That may be figuring out a specific design and layout in PowerPoint, or finding images for your presentation. In Excel, Ideas may suggest which charts to use or help you discover outliers in your data. This feature is now generally available in Excel and coming to PowerPoint Online as a preview in the near future. Chances are we’ll see it pop up in other Office apps soon. And yes, feel free to insert your own favorite Clippy joke here. Excel is getting a few additional new AI features, too. Microsoft previously announced data types in Excel at Ignite 2017 — and launched into preview earlier this year. Now this feature, which helps you turn references to stocks and geographies into rich data that you can easily extend and manipulate in a spreadsheet, is generally available. The company is also bringing image recognition to Excel. This nifty new tool lets you convert a picture of a data table into… you guessed it… an Excel file. The name of this tool? Data from Picture. It’s now available in public preview. Microsoft also notes that it is making Excel faster by speeding up lookup-type functions. There’s another new feature here, too, that isn’t directly about AI but will still make using Office easier. Microsoft Search is a new search capability that will soon roll out to Bing and Office.com (and later to Microsoft Edge, Windows and Office) and use data from the Microsoft Graph and AI tech from Bing to offer a better and more cohesive search experience. Microsoft notes that these new search features will also be able to index internal documents so that you can now ask questions like “Can I bring my wife and kids on a work trip?” and see an HR document that tells you that you can’t.